The bedding-rich cinema is now in Turkey. 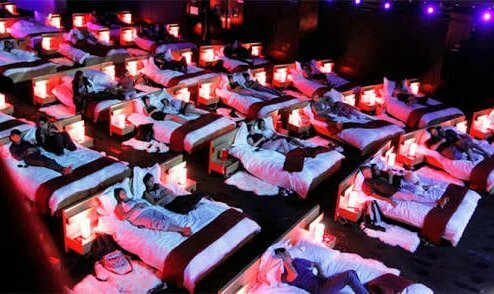 Bed-rich cinema hall was introduced in Turkey earlier this year, following a few countries including Korea. Interestingly, these cinemas have been replaced instead of a chair in a pair of pairs. It's a pleasure to have this movie that you will not be able to cut a ticket. Because the beds are ready to pair together so you have to cut two tickets, and you will come here with your loved ones, enjoy a beautiful evening. And yes, if you want, you can go alone for two seats. Over the last three months, these cinemas have stirred the heart of the people of Turkey, especially the heart of youth. Youth Ministry expressed satisfaction with the approval of the government for such a work. This post has received a 1.20 % upvote from @drotto thanks to: @muhammadkamal. You got a 33.33% upvote from @hotbot courtesy of @muhammadkamal!